Well, today's been fun, right friends? The day started off with Boston Celtics superstar guard Kyrie Irving talking to the press during shoot-around before tonight's matchup in Madison Square Garden versus the New York Knicks, the very team he's been linked to in all the recent free agency rumors. Kyrie had every opportunity to say the right things, and while he said a lot, his "don't owe anybody s---" line along with ending his mini presser with "ask me July 1st" comment didn't really put anyone at ease. Personally, I feel that was more of an attack on the media and the NBA landscape as a whole, especially considering his jab about the juvenile nature of it all, but I digress. The day continued with more potentially bad news when Anthony Davis Sr., father of the coveted free agent big man Anthony Davis, sent an unprompted text message to ESPN's Ramona Shelburne. Yikes. I mean, fair point from pops. Who am I -- or any Celtics fan for that matter -- to argue with a man whose soul purpose is to protect the best interests of his son? However, I will say this: while the IT trade was brutal, not only in nature but also given its timing post the tragic death of his sister, it was the right move for Danny Ainge to make. Because, in the same respect that AD Sr. is out to protect his son's interests, so too is the role of any General Manager/President in regards to their team. Danny Ainge did what was right for the team. It sucked. We love IT. Yes, love. Not loved in the past tense. Still love the dude. Always have, always will. It all begs the question though: where do we draw the line between loyalty and "it's just business?" Why is it OK for a team to trade someone and not OK for a player to bolt via free agency. And vice versa. Same ballgame if you ask me. 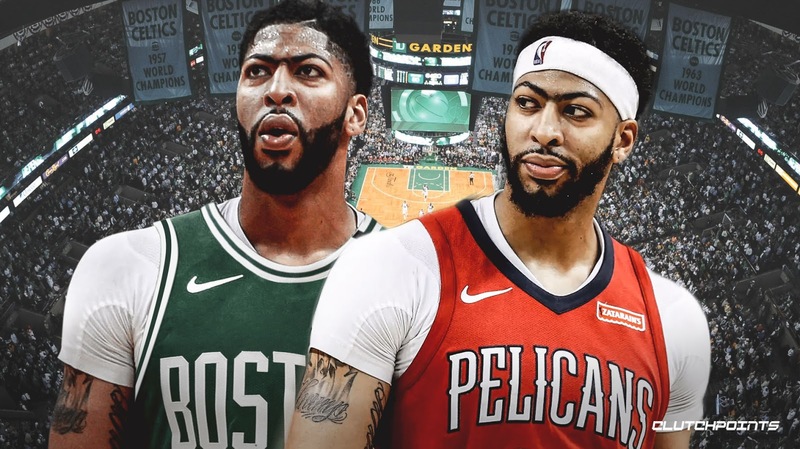 Speaking of loyalty, the argument can be made that the New Orleans Pelicans have been nothing but loyal to AD. They've done all a small market team can do as far as acquiring firepower to help AD's winning cause is concerned. Trading for DeMarcus Cousins, getting veteran help in Rajon Rondo, etc. Yeah, it didn't work out, but is that the Pelicans fault? Also, the Pels were set to offer Davis a five year extension totaling close to a quarter of a billion dollars after next year. And what happened? Suddenly, Davis latches on to Lebron James' representation via Klutch Sports' Rich Paul and wants to leave? To LA? How convenient. Is that a lack of loyalty on AD's part? The argument can be made. For the record, I don't fault anyone on any side here. Anthony Davis is free to sign with whatever agent he wants, position himself to go to whichever team he wants, etc. I just think we need to flip both sides of the "loyalty" coin in all aspects if we're going to point fingers. Davis' father continued by stating this was just his personal feelings. This is just my opinion, not Anthony's. I've just seen things over the years with Boston and there's no loyalty. Maybe he's also referring to Danny shipping fan favorites Paul Pierce and Kevin Garnett to Brooklyn. Maybe it's just perfectly convenient timing. Important/final note: this text message came out minutes after Kyrie Irving made his comments to the press. And yesterday, supposed reports came out that Davis would not re-sign long term with Boston. That came out, once again, minutes after Kyrie spoke to the media, giving non-committal remarks. If you ask me, this all nothing but masterful timing by Rich Paul, Lebron James, and company. As a Celtics fan, I don't like it. But I can't hate on it either. Because all is fair in love and war -- and free agency -- right? What do you think? Let us know in the comments below. And be sure to stay tuned for the continued saga in Celtics-land here on CelticsLife.com.